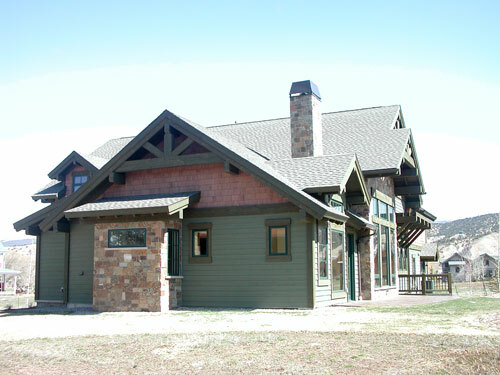 This home features heavy wood detailing, stone and shingle siding. The front elevation provides a large west facing porch. ASE Lot 15 Speculative Residence, Filing 1, Eagle Ranch, Eagle, CO; 5,100 s.f. ; 2006. Contractor: ASE, Inc.
Brush Creek Valley and Sawatch Mountain Range. The 4,800 s.f. home has 6 beds, 6 baths, and a 3 car garage.